Where Is The Best Place to Buy Bean Bag Filling in Australia? 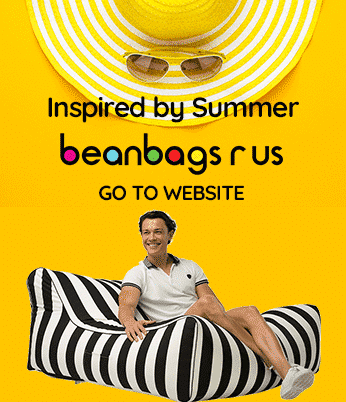 Bean Bags R Us NewsBean Bag FillingWhere Can I Buy Bean Bag Filling in Australia? One of the most frequently asked questions we receive is ‘Where can I purchase the bean bag filling?’ There are many options available to consumers in Australia. For the majority of people travelling to your nearest department store will be the easiest and most cost effective solution. K-Mart has been operating in Australia since 1968 and now has one hundred and ninety-one stores nationally. Owned by Wesfarmers, K-Mart is one of Australia’s largest chains of department stores. You can purchase a one hundred litre bag of bean bag filling at K-Mart for $12.00. For a small additional fee, most K-Mart stores offer local delivery; which is an excellent option if you require more filling that can fit in your car. Most sedans will be able to handle two to three bags in the boot and up to four bags in the rear seat. An SUV may be able to carry twelve or thirteen bags. K-Mart uses industry standard virgin EPS bean bag filling, which is safe and suitable for most bean bags including pool bean bags. This product is available through their online store, and they offer delivery options ranging from ten dollars to sixteen dollars depending on your location. Because K-Mart can deliver locally, they are also able to provide cheaper transportation options. Spotlight stores offer a 500-gram bag of filling for $12.99. Whereas most other retailers sell by volume, Spotlight sells by weight. Knowing the weight, but not the volume often confuses people, and we regularly receive phone calls asking ‘how many grams of beans should I buy. The standard 100-litre bags weigh around 580 grams, so 500 grams is less than 100 litres. However, the beans in these 500-gram bags may be heavier than those available elsewhere, and we have received reports from customers who claim they needed to buy twice as many bags, to achieve the same result. When the beans are smaller, they will denser, and therefore heavier. Increased density means; they will use less volume, and therefore you will require more of them. This product is available through their online store with delivery options available to most metropolitan areas for just $8.99 per bag. There are one hundred and eighty-six Big W department stores throughout Australia. Owned by Woolworths, Big W offers filling in one hundred litres ($12.00) and forty-litre bags ($6.50). The smaller bags are an excellent option for small poufs and ottomans, or if you require a small amount of beanbag filling to top up a bean bag that has gone a bit flat. Big W also offers delivery through its online store. To assist with reducing confusion, Big W shows the weight and volume of the product on their packaging. Their 100-litre bag weighs 500 grams. Eco Beans offers Australia wide delivery of eco-friendly bean bag refill, as well as virgin bean bag filling. For two hundred litres of Virgin beanbag filling, including delivery, you can expect to pay between $49.50 and $89.50 depending on your location. For 200-litres of eco-friendly beanbag filling, you can expect to pay between $39.50 and $79.50 based on your location. We offer bean bag filling in two convenient options. Our filling is packaged in cardboard boxes and shipped from the Gold Coast. For one hundred litres we charge $16.50, and for two hundred litres we charge $33.00. Delivery charges are in addition to these prices and vary on your location. You can calculate the cost of delivery in the Shopping Cart using the ‘Estimate Shipping Costs’ feature. As we are shipping from Queensland, customers in Western Australia, South Australia and the Northern Territory may find the cost of the shipping to be very high. Shipping bean bag filling is costly due to the huge volume and low weight. Freight companies charge on volume, not weight, so the product costs the same amount of money to ship, as something that is about ten times heavier. Why would I buy Bean Bag Filling Online? Not everyone owns a car, and not everyone has the time to visit a local department store. If you are purchasing several large bean bags, you may not have a car big enough to fit all the beans, and you may not have the time to make several trips to your local shopping centre. There are also many regional and rural customers who may not have access to a K-Mart or Spotlight store. For some clients, especially businesses and corporations, the convenience of ordering online is worth the additional cost. You may consider buying online to be a better option once you examine the cost of driving to your nearest shopping centre, parking costs, and the time you will need to invest. For an additional fee, we can prefill most of our beanbags. Pre-filled bean bags are a great option for trade and commercial orders where you may not have the time or manpower to fill the bean bags yourself. Please contact us for a quote if you require large quantities of filling or pre-filled beanbags.